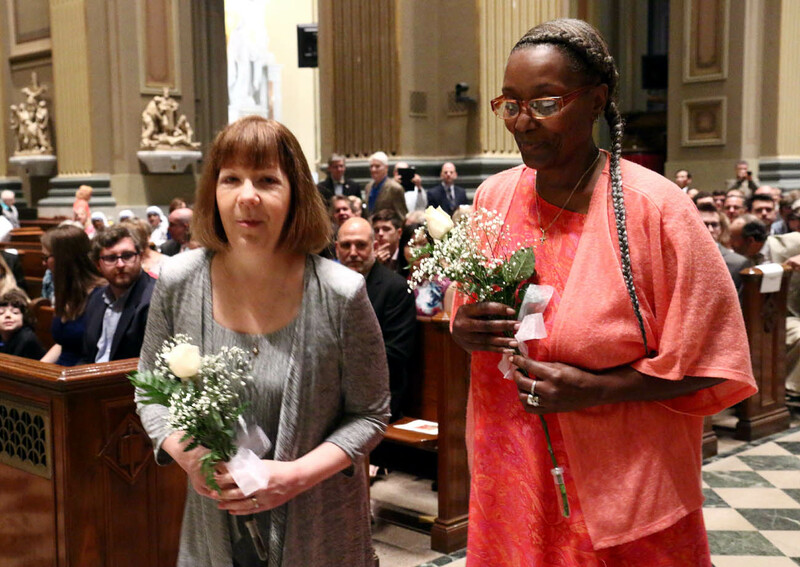 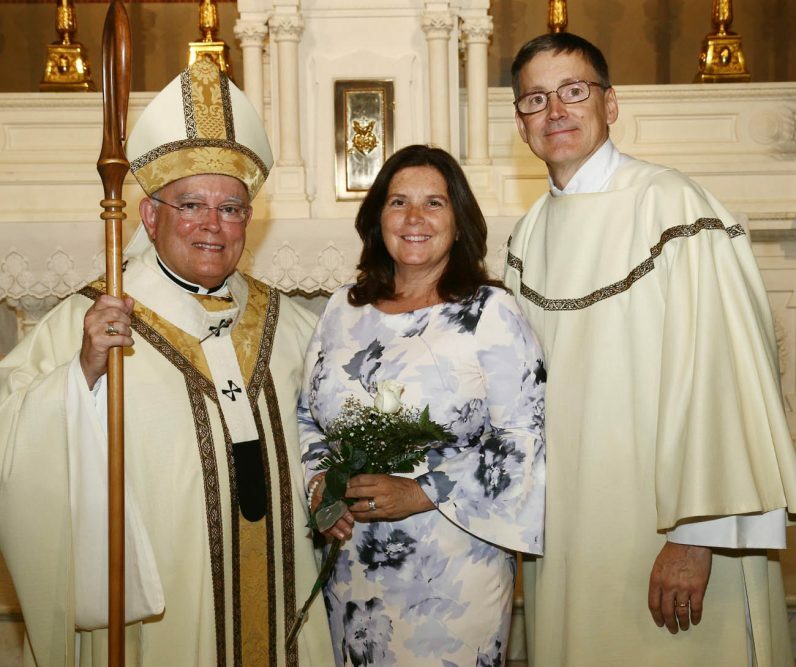 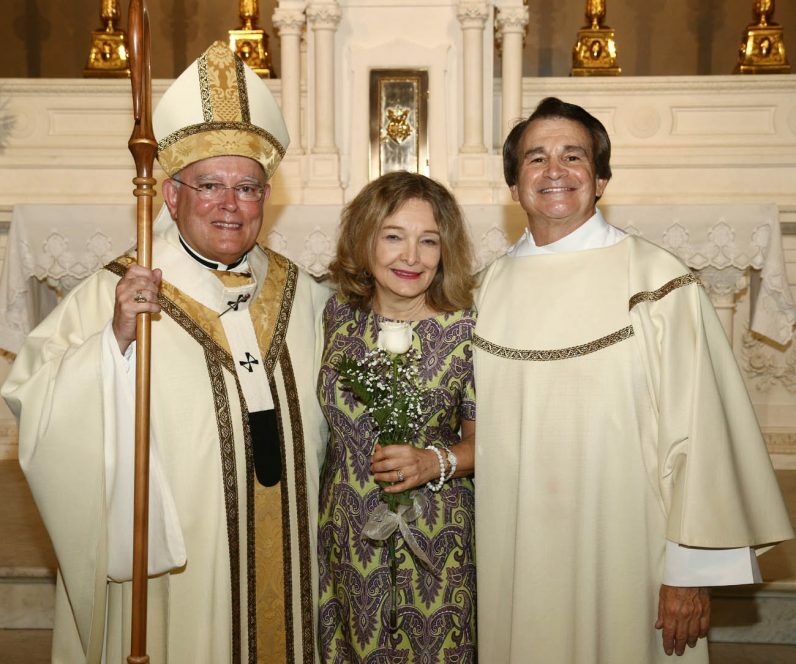 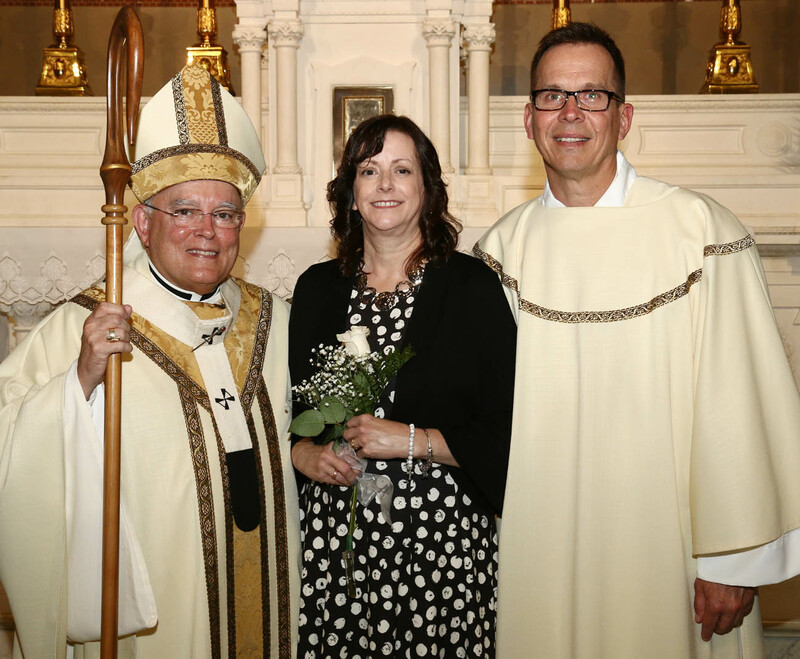 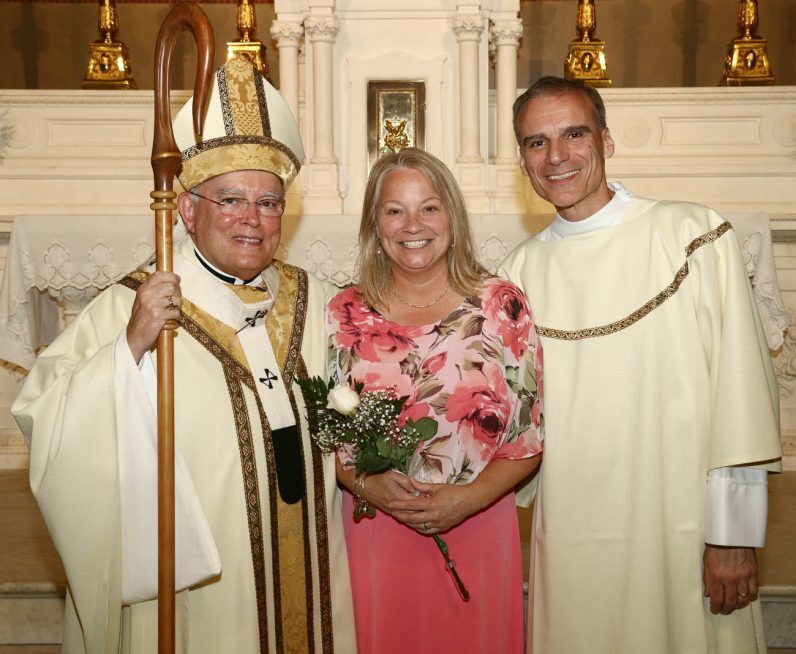 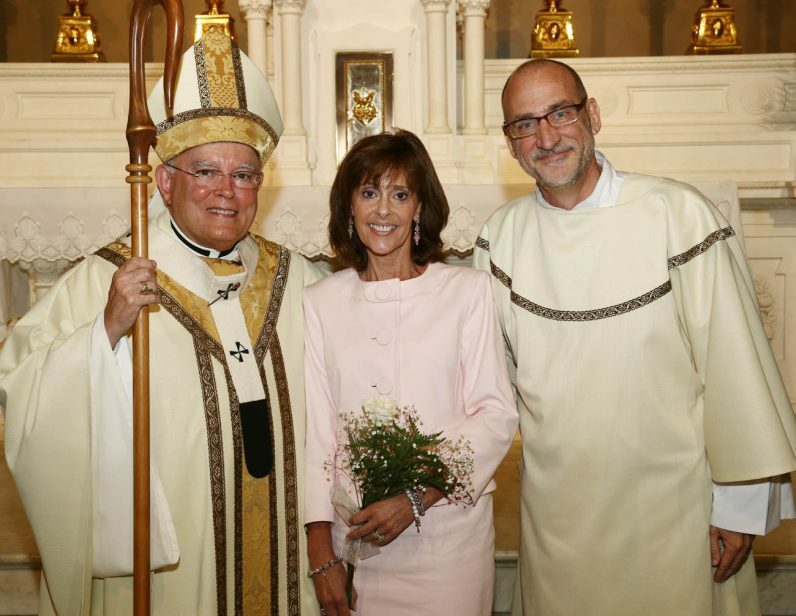 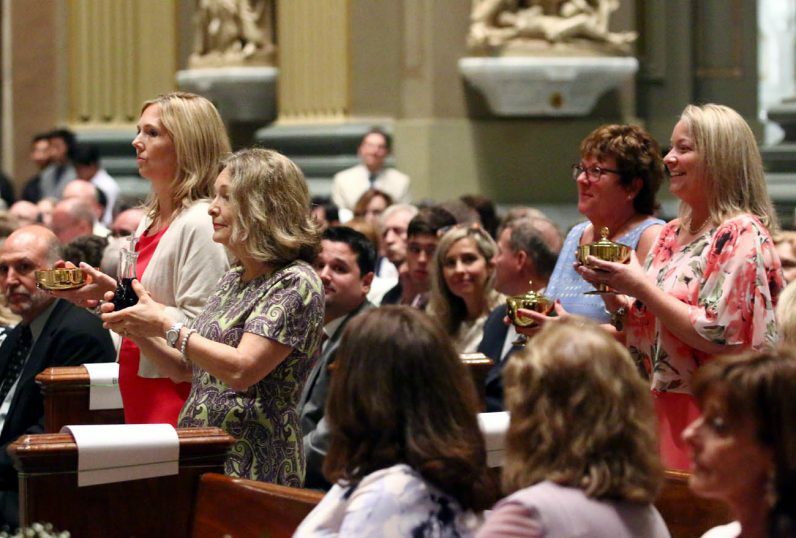 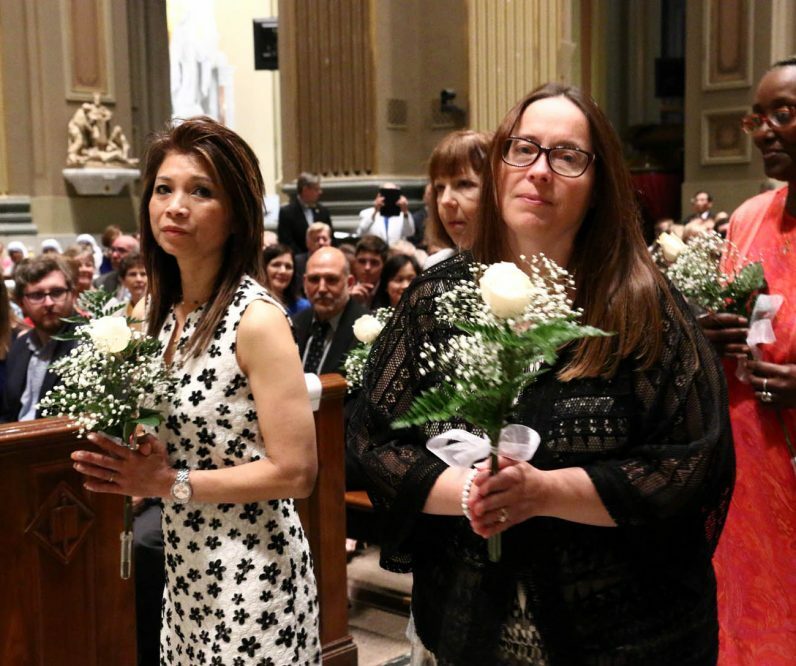 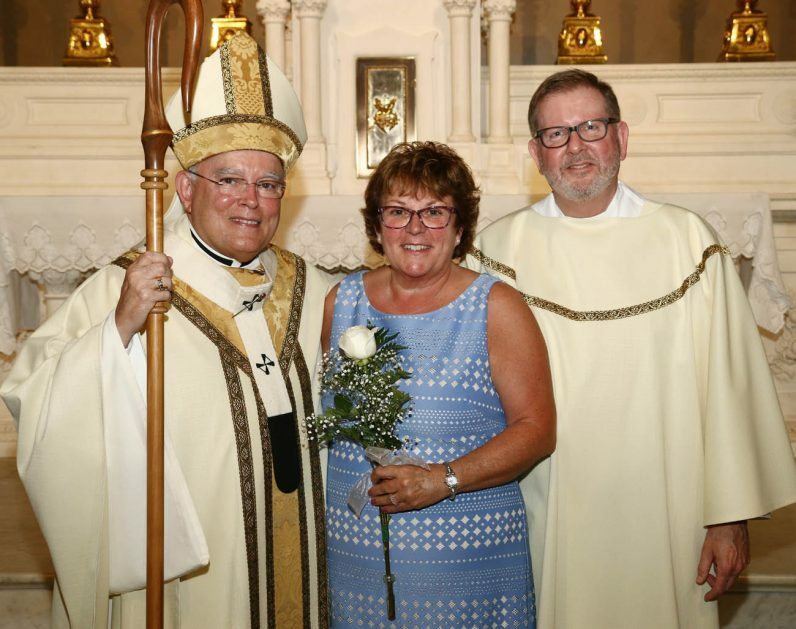 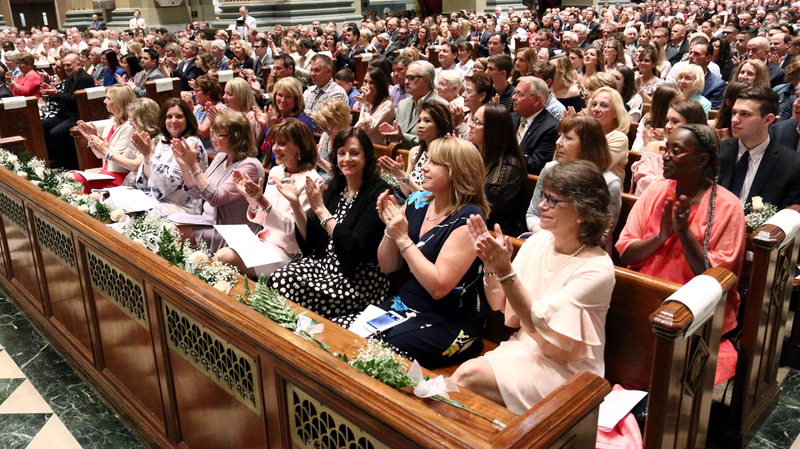 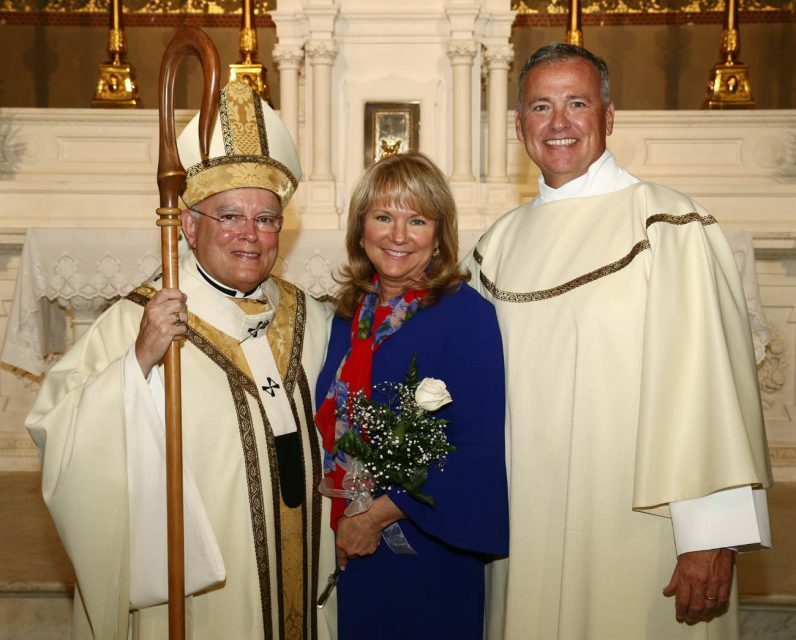 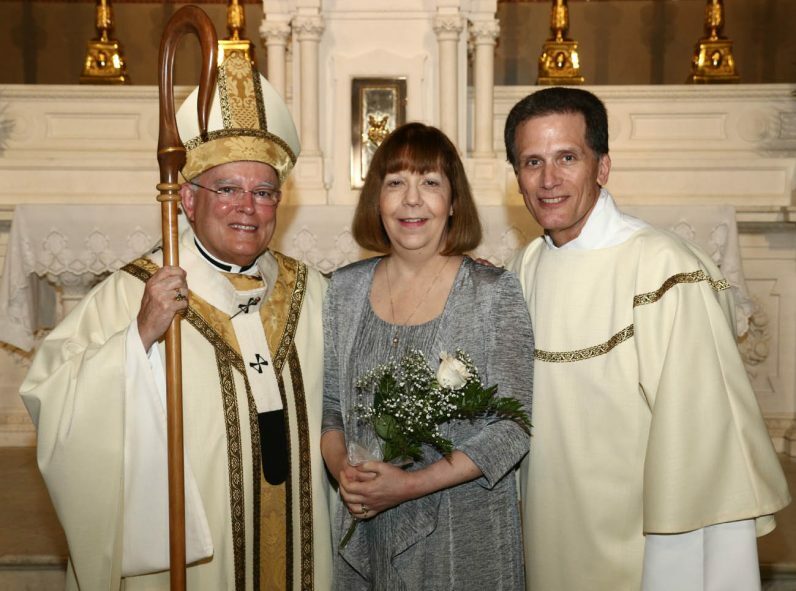 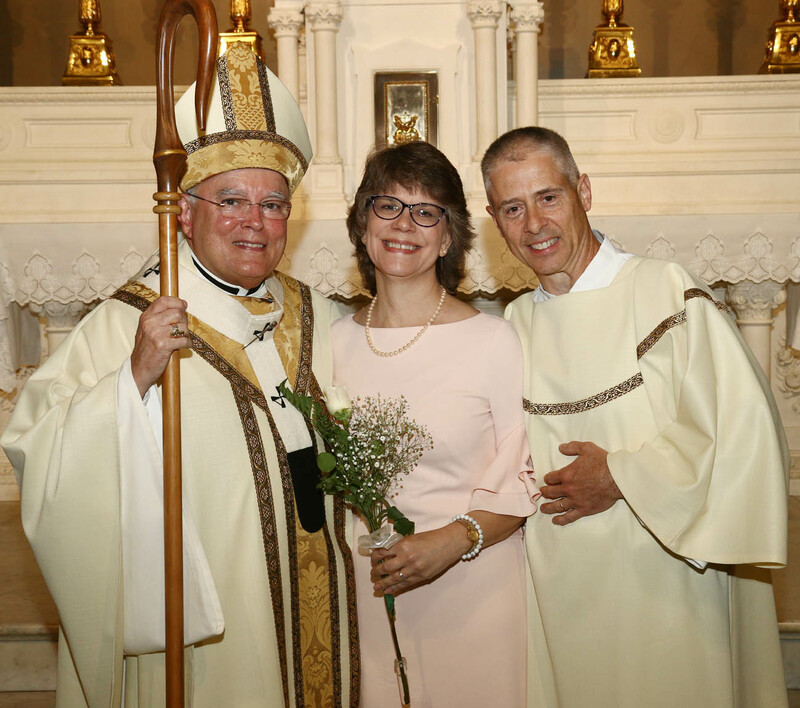 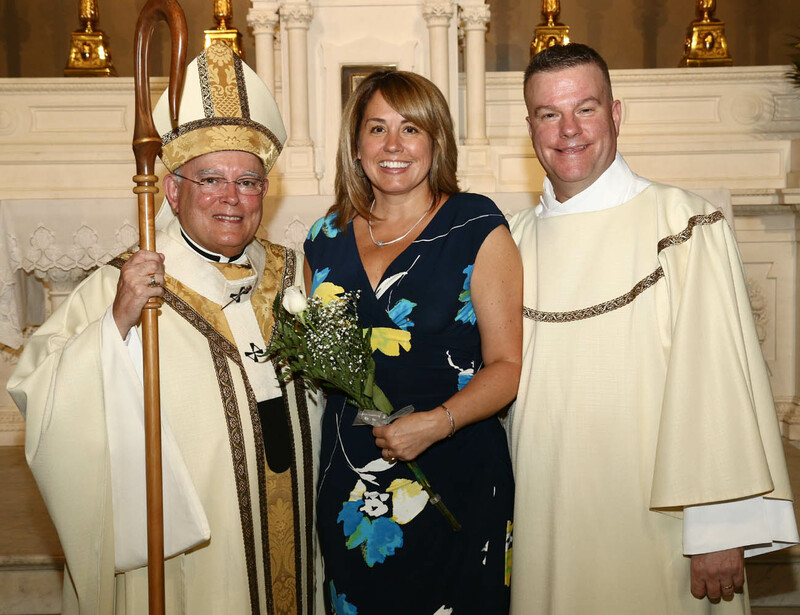 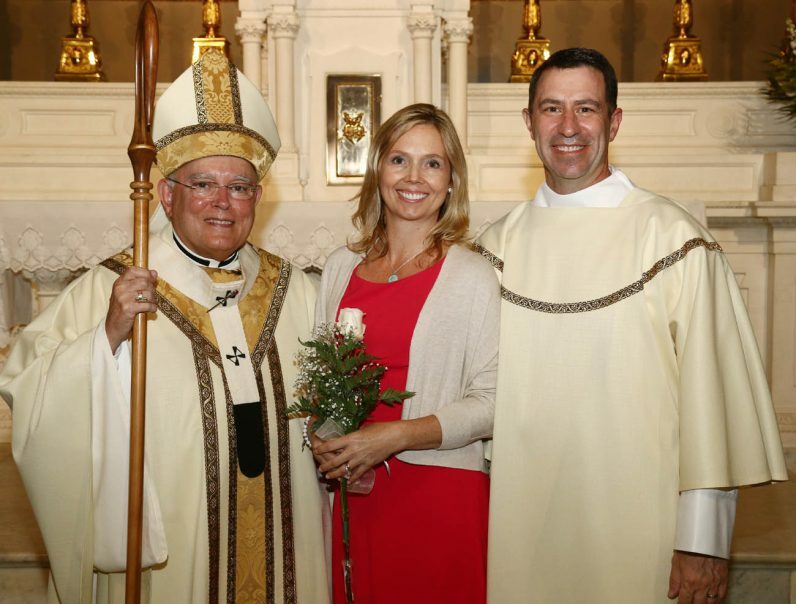 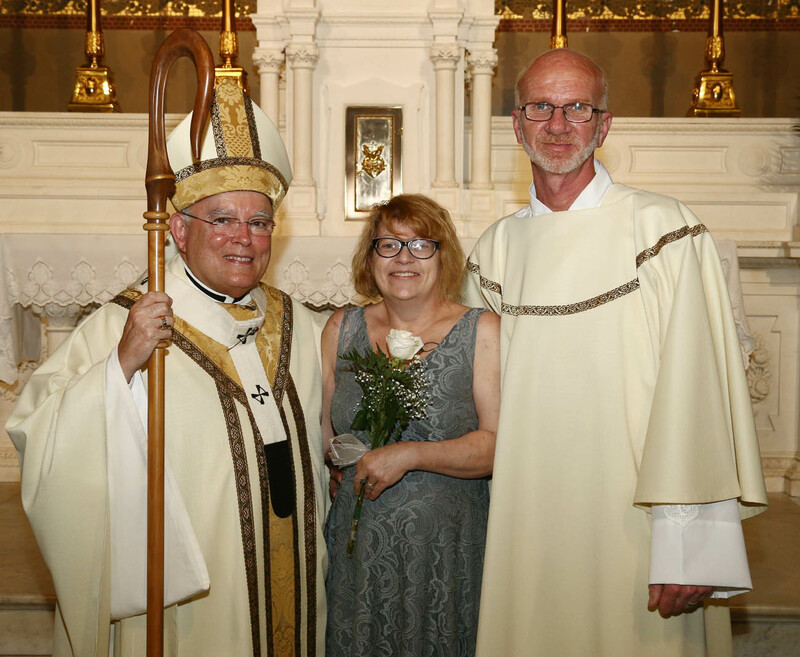 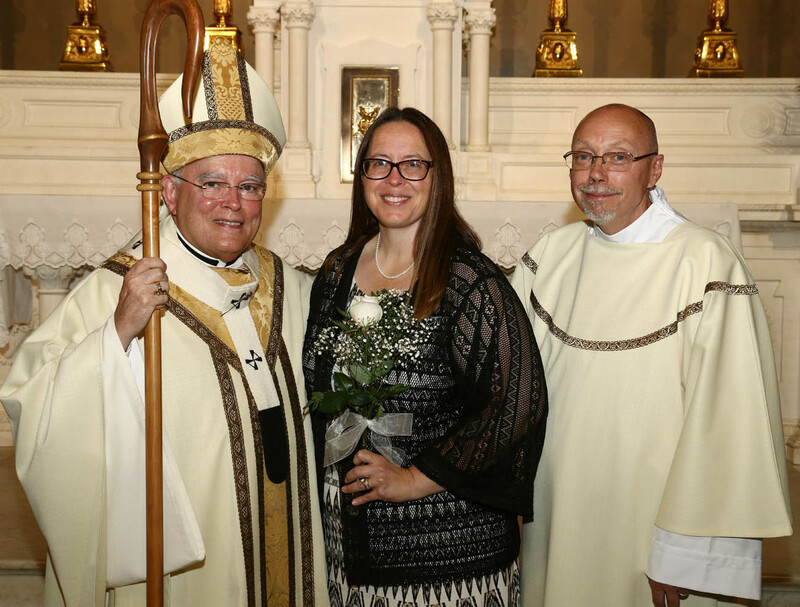 Each carrying a white rose into the cathedral at the start of the ordination Mass, wives of the deacon ordinandi include Janet Knesis (left) and Theresa Martino. 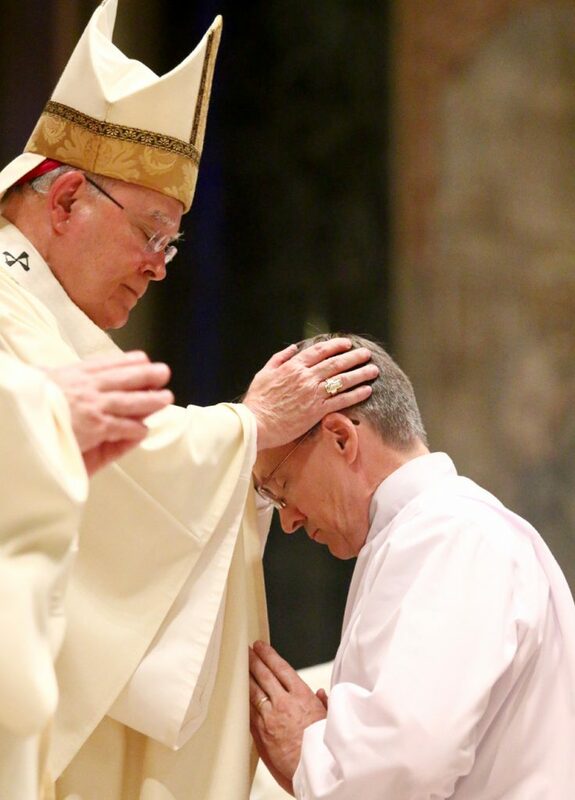 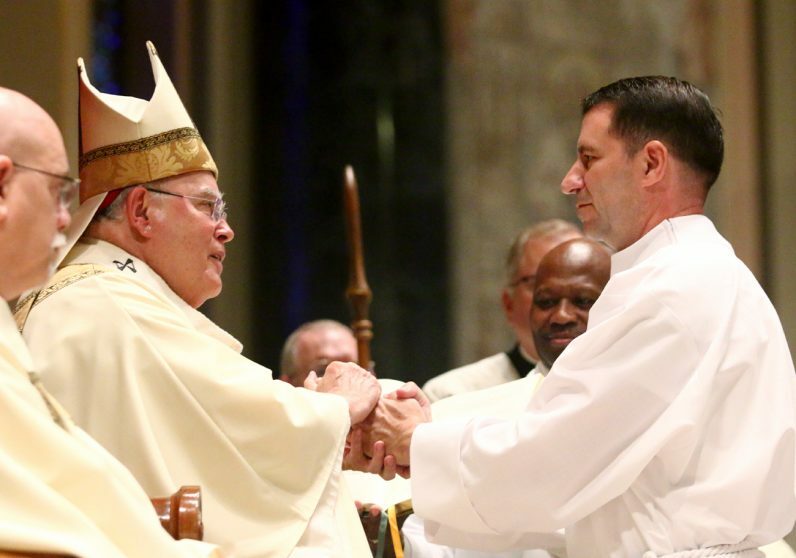 Deacon Robert Flynn greets Archbishop Chaput during the ordination rite. Deacons’ wives Tina Nguyen and Shannon Nungesser. 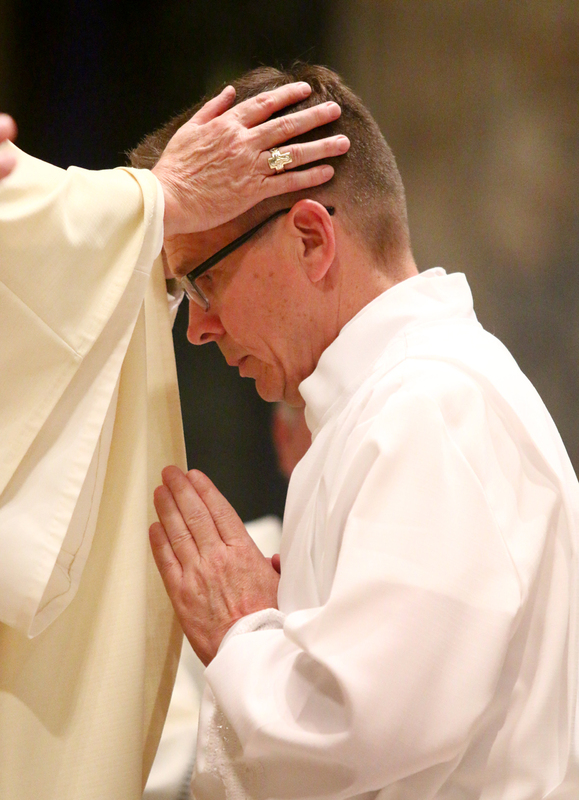 John Knesis is ordained a permanent deacon through the prayers and laying on of hands in the ordination rite. 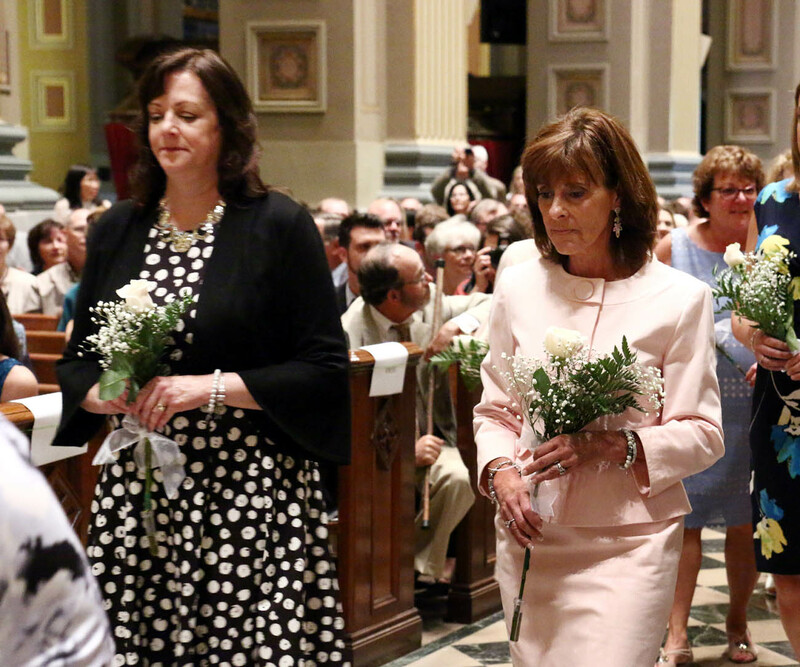 Deacons’ wives Mary Thuel and Tanya Willoughby. 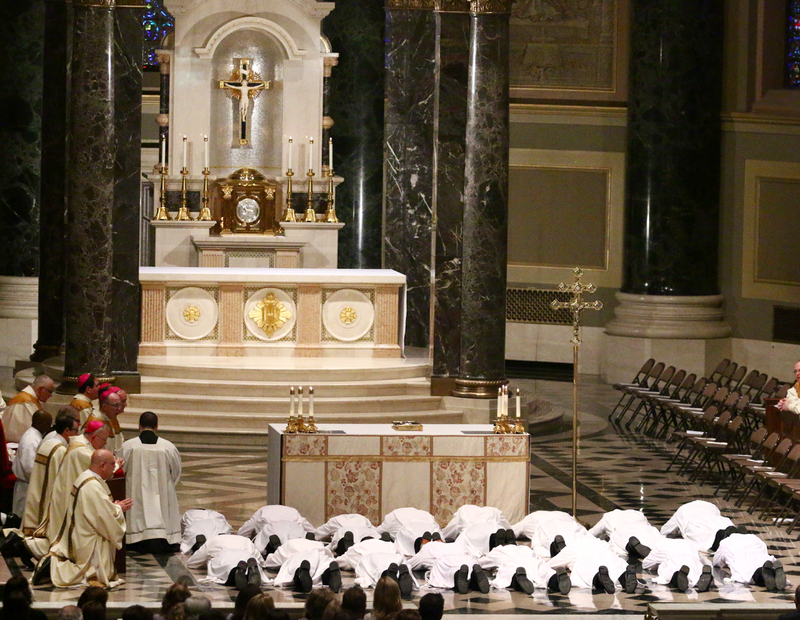 The deacon candidates lie prostrate on the floor of the Cathedral Basilica of SS. 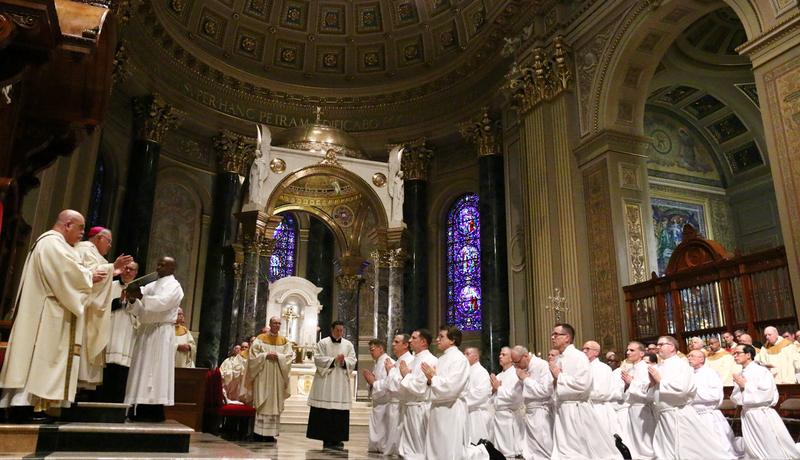 Peter and Paul during the Litany of Supplication of the June 9 ordination Mass. 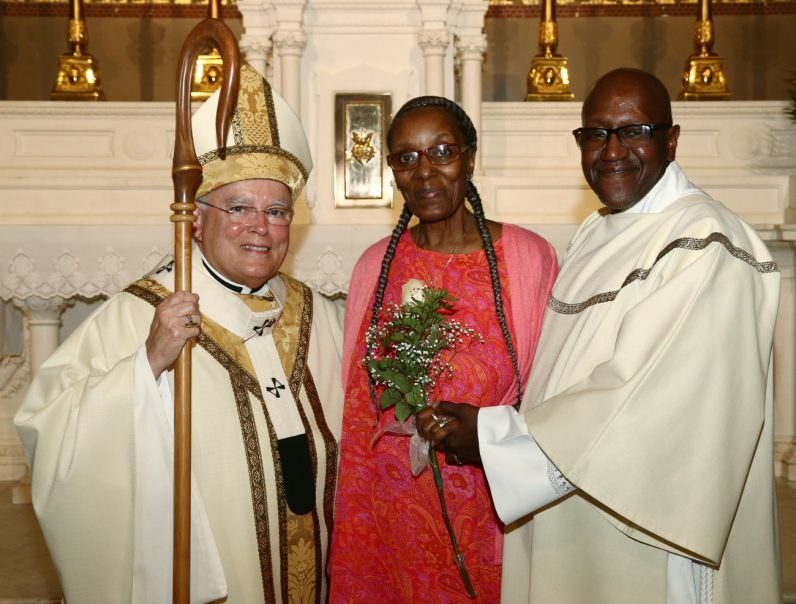 Dwight Johnson is ordained a deacon. 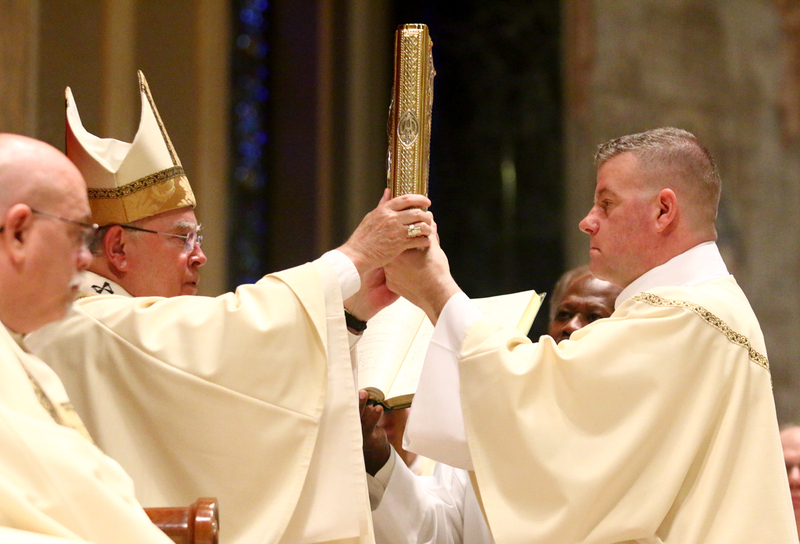 The archbishop presents the Book of Gospels to Deacon Eugene McNally III. 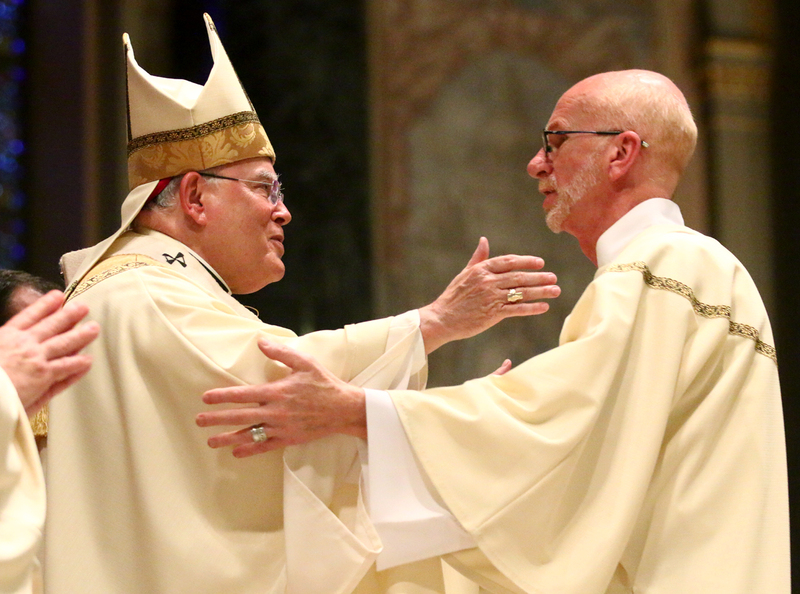 The archbishop and Albert Murphy exchange a sign of peace. Bringing up the offertory gifts are deacons’ wives including, from left, Nicole Flynn, Diane Browne, Debbie Mead and Sharon Mirabelli. 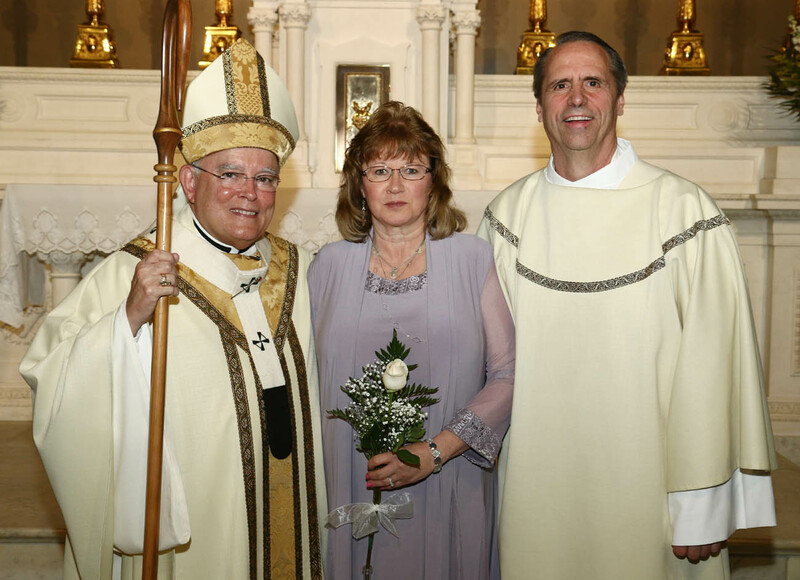 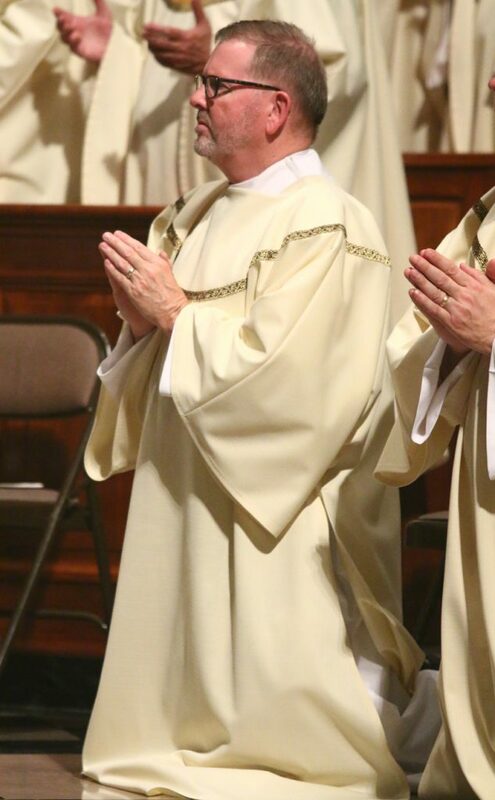 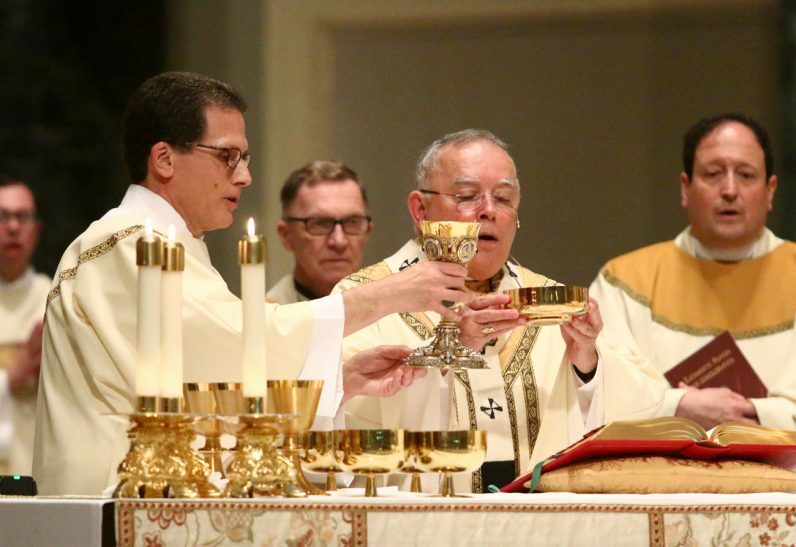 Deacon Raymond Thuel serves as deacon of the Eucharist. 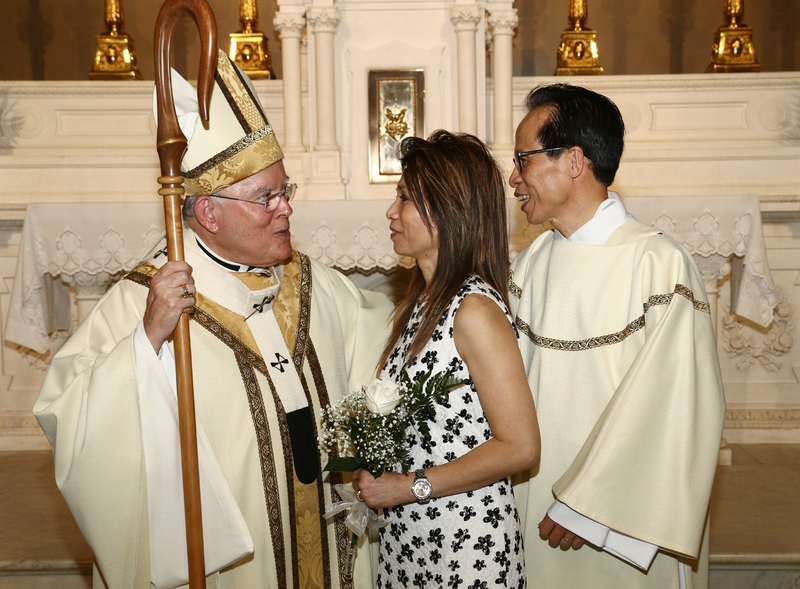 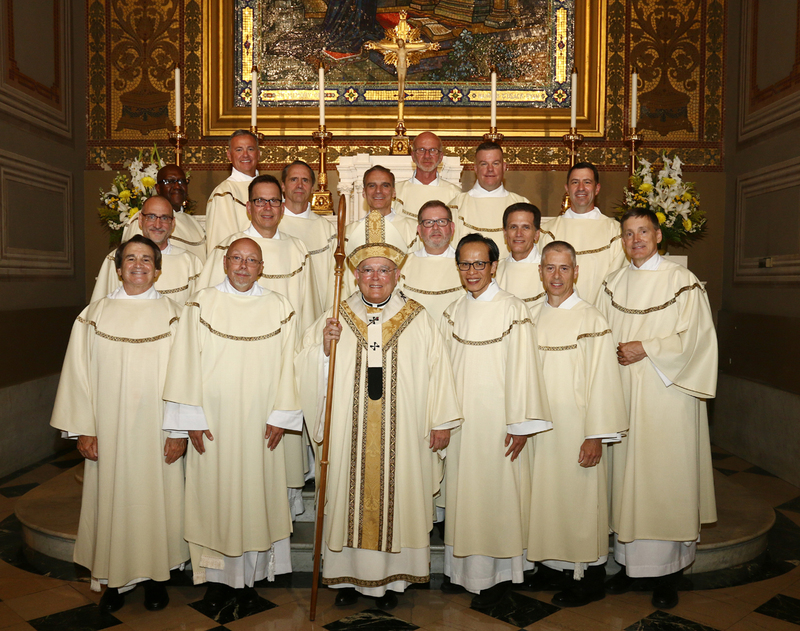 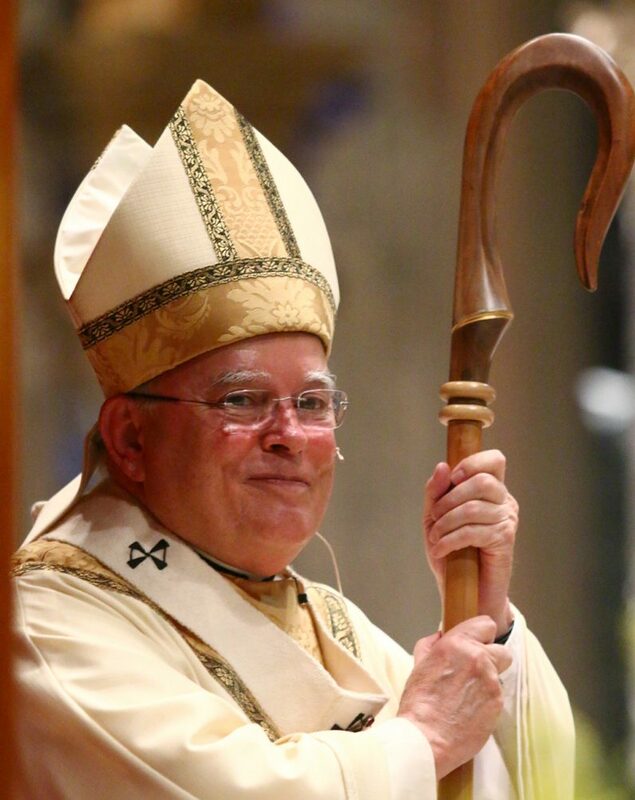 Archbishop Chaput is pleased to ordain 16 new deacons. The wives of the 16 newly ordained deacons applaud.